6 channels for type K or T thermocouples. Word class 24 bit system. Internal memory of 260,000 readings. 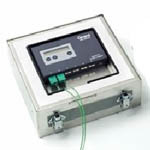 Up to 6 K-Type temperature probes can be connected to the logger. 250°C for 100 minutes and TB610 thermal barrier 250°C for 50 minutes. Custosmize thermal barrier also available. 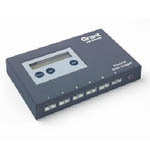 6 K-Type temperature probes can be connected to the logger. 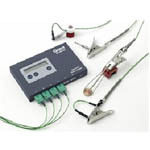 These probes can be clipped on to non-magnetic components or via a magnet.